More people than ever before are moving from Brussels to the periphery surrounding the city. 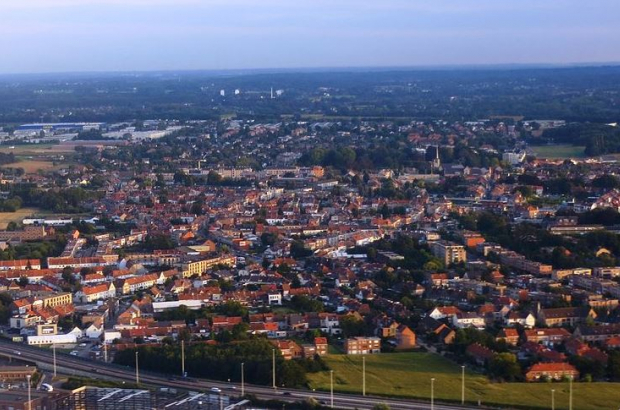 According to the government publication A View of the Flemish Periphery 2017, nearly 13,700 people moved from the capital to one of the 19 municipalities in the area in 2015. Ten years earlier, the figure was just over 11,000. The increase during the period can be seen among both Belgians and non-Belgians, though the numbers of non-Belgians moving into the periphery increased more, nearly doubling. Still, more Belgians than foreigners are moving into Flemish territory, with 9,430 relocating there in 2015 compared to 4,256 foreigners. It appears that Machelen, to the northeast of the capital, is the most popular destination, with 18% of people moving there. It’s followed by Zaventem and Vilvoorde, both at 15%. Interestingly, none of those are ‘facility municipalities’ – those cities that allow residents to receive communications in French. At the end of 2016, nearly 15% of those living in the periphery had a nationality other than Belgian, with most of those situated in Kraainem (a facility municipality) and Tervuren. Nearly one-third of all residents of Kraainem are non-Belgians. Not surprised. Too many roadworks at the same time, cars block intersections and no penalty, no police presence anywhere, prostitutes everywhere, torn up sidewalks and no penalty if damaged by scaffolding, key scratched tram stops again no cameras anywhere, no one pays for tram trips, ugly landscaping, lighting poor, beggars everywhere, the list goes on. I live in town and I wonder why.